Said to be the world's longest poem, Mahabharata was originally composed in 100,000 Sanskrit verses by the ancient Indian sage Vyasa. 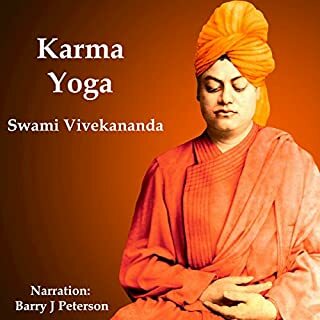 Revered as a sacred text within Hinduism, it contains the great spiritual teaching Bhagavad-gita. 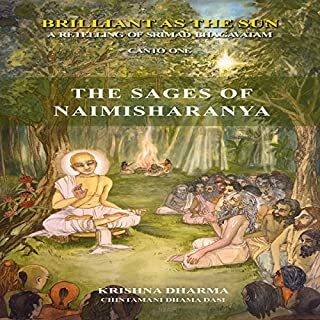 Krishna Dharma has condensed the epic into a fast paced novel that fully retains the majestic mood of the original. A powerful and moving tale, it recounts the history of the five heroic Pandava brothers, sons of the Emperor Pandu. Cheated of their kingdom and sent into exile by their envious cousins, they set off on a fascinating journey during which we meet gods, sages, mystics and mighty warrior kings. Profound spiritual themes underlie the thrilling narrative, making it one of the world's most revered texts. Culminating in an apocalyptic war, Mahabharata is a masterpiece of suspense, intrigue, and illuminating wisdom. I was moved so many times by the wisdom contained in this heartfelt rendition of the Mahabharata. I feel a powerful sense of spiritual devotion and renewed closeness to that ineffable Universal Soul, after imbibing the divine nectar of this great spiritual classic. 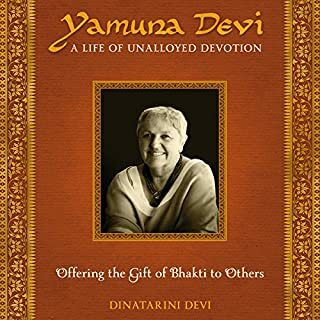 Highly recommend to all to hear this valuable and enriching story. 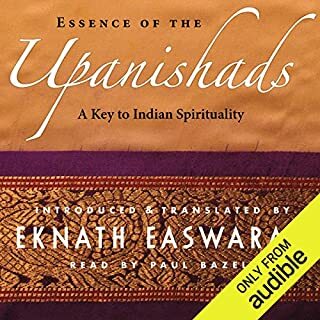 Fantastic translation of Mahabharata and the narrator is exceptional, very captivating wish this never ended. Thank you making this available. The reading, though disciplined, is no great performance. 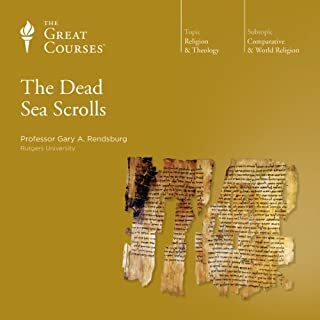 It well may be the greatest spiritual epic of all A’s it has more battle scenes than The Iliad, more vindictive murders than a Greek tragedy, and more preaching or life coaching than the Koran or Bible. At the end I wasn’t sure if Krishna was not rightly censured (and actually cursed by Duriodun’s mum) for his double dealing. - Arjuna tells Krishna, have no fear. iwill slay Karna. why would he say this to the Lord himself. - Pandvas havebeenportrayed as way more powerful than Kauravas. this story has many flaws. 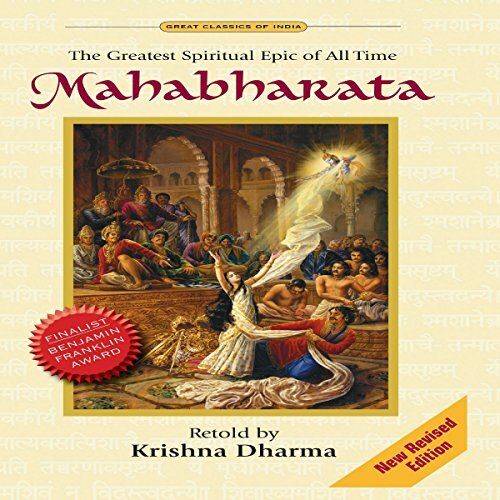 What made the experience of listening to Mahabharata: The Greatest Spiritual Epic of All Time the most enjoyable? Heart felt reading. well translated. I have read/listened to many renditions -not having time to read a full translation. This and Jaya are my favorite so far. What about Sarvabhavana Das’s performance did you like? Very heartfelt, warm reading. However, if you have no patience with a homey read, this may not be for you. Can sometimes hear his chair squeak or can tell he has a cold. Chapter ten was obviously never edited and he has a cough that can be distracting. Jaya is another rendition of the Mahabharata that I highly recommend. If you like to feel you are listening to a friend read, this is an excellent listen. I downloaded in parts and the end of part three and beginning of part four have three or four incomplete sentences. In such a long production, I felt the problems were small quirks. But I do hope if they go back and edit the production, Audible will offer us the edited version to replace this one. Narration did not appear to be edited and/or directed at all. At points you can hear him breathing heavily, swallowing and even coughing. Sloppy work. I think this version is far below Audible's typically high standards. I've n been listening to audio books for 20 years and this is by far the worst "professional" reading I've ever come across. Westerners in the U.S. doing a lazy and sloppy job with stories like these borders on cultural insult. An otherwise fine performance is marred by numerous mispronunciations and audio artifacts. Production quality is not to the level I've come to expect from Audible. Wow! Truly loved the book. Narrator could have done better. Can’t imagine the amount of detail in the story. What an epic! No wonder its success is so widespread. I always wanted to read the Mahabharata, but never really got a chance. Once I began this book, I started becoming anxious every single day. I wished I could listen to this all the time.. I began looking forward to the next day’s commute just for this. Only wished the narrator could have modulated his voice a bit better. But the story is so strong, it made the voice be overlooked. Thanks for making it available. Truly cherished it!! Love the story, reader, not so much. You can hear the reader swallow, breathe heavily, and make other gross mouth noises. Highly unprofessional, and the gross mouth noises do not show much respect to the text. This and the mispronunciations are distracting. This is nearly unlistenable. Outstanding. Top-notch retelling. Thank you. My knees went weak and literally buckled on me during the last five minutes. Phenomenal story. By far the greatest story I’ve ever heard! And I’m blown away that this is not a more popular story and it hasn’t been turned into a Hollywood movie. I couldn't stop listening. the calm,soothing voice of the narrator suited the transcendental story . this was an amazing experience for me,hearing the story of Krishna and Arjuna,whom I am named after, and the other pandavas. a window into a time far superior to our own, where true virtue lived, and how our current age of Kali began. 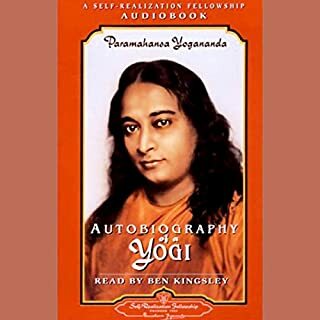 this is the best English translation of the Mahabharata, respectful and mindful of Lord Krishna as the supreme person, the true God. i recommend this to anyone. I really enjoyed this book. 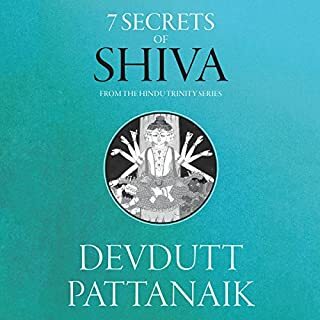 I do not know a lot about Hinduism, but the story was quite engaging and interesting. Unlike other religious texts, it was written well and worth listening to as a story. I just finished and I'm going back to the start to listen again. A true epic beautifully translated. Whether religiously interested or looking for a top piece of literature, this will certainly fit any bill. 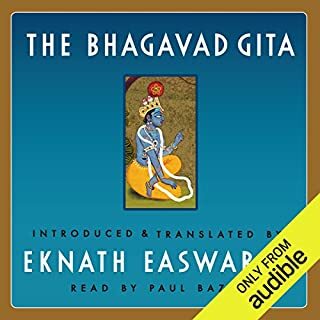 Where does Mahabharata: The Greatest Spiritual Epic of All Time rank among all the audiobooks you’ve listened to so far? So many lessons can be learned from here if you are open to it. A superb book! Excellent narrative with good flow. Great epic bought to life by the reader. 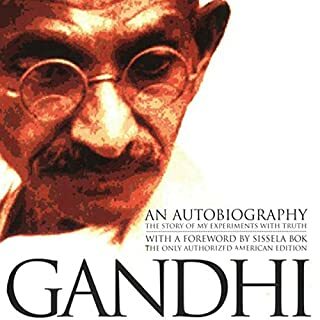 Fantastic insight in to the Indian history and philosophy. 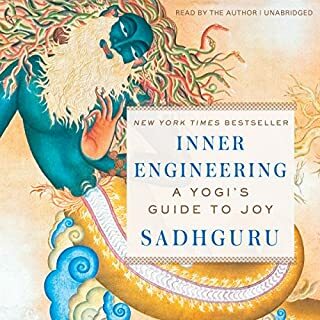 Vedic yoga threads are well discussed as well as metaphysical musings. Truly insightful and absolutely sublimely enjoyable. The stories are wonderful to hear again and again. Long. Very long. But for me, oh so very much worth the effort. Fascinating stories, still valuable today. 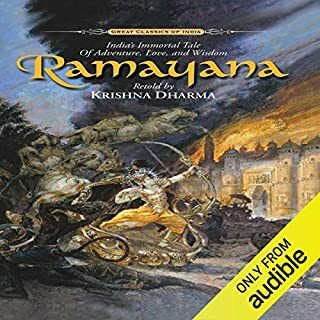 I grew up watching the near-to-perfect (albeit terrible CGI and repetitive singing scenes) 1988 Mahabharata TV show on repeat, and so I was quite excited to see this book on audible. However, much to my disappoint, this book is much more of a synopsis with fruitless and repetitive descriptions that do nothing to further the story. 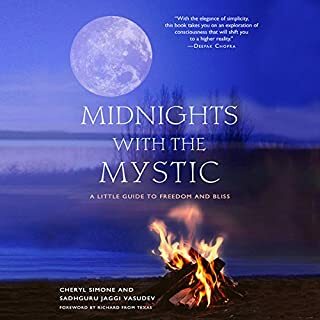 Instead of an epic tale with character and story development, this book is more of a collection of descriptions strung together, and removing these deadend passages of descriptions would have easily reduced this book by half its content. 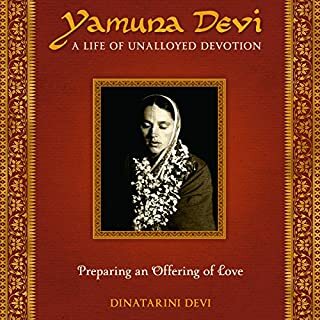 Regardless of what your opinion on God or the authenticity of the this recounting, the teachings behind the tale are without a doubt, faultless, and so I was greatly disappoint as to how this book breezes past those and instead focuses on empty descriptive words and semi-stories without any enlightenment. Everything is very rushed and without detail to the point whereby I felt no attachment to any of the characters, nor their predicaments, which is in serious contrast to the playful nature of Krishna, sad loyalty of Karna and the despicable tactics of Shakuni. Last of all; whilst the vocal performance is sincere, it's also very distracting and bland. 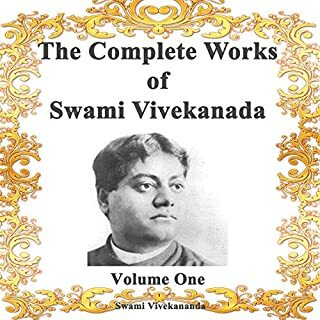 There is no power to the acting and all of the Sanskrit words were mispronounced, though could have easily been corrected with someone who knows the language. In addition, though not as important as the pronunciations and lack of spirit in the voice acting, the quality of the recording could have been increased by pausing when needing to take sips of water or shuffling papers. 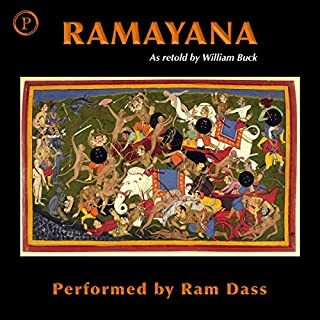 Mahabharata is a very special story to me and so overall I'm very disappointed in this version, as it breezes over the teachings and reduces this epic tale to a bunch of words put together and then recited. Had the original story not been so amazing already, then I would have given it the lowest rating I could. 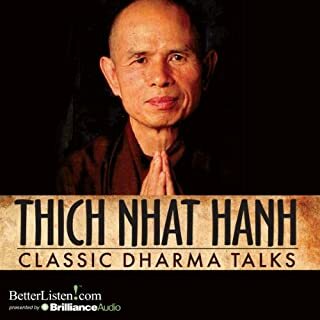 I really enjoyed this audiobook and found it very easy to listen to. 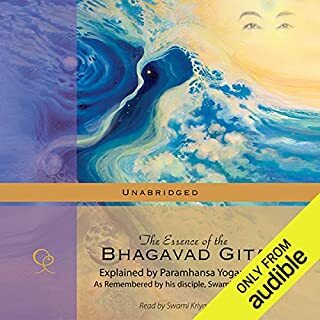 It's great to hear the background leading up to, and the speaking of, the Bhagavad Gita . I plan to listen to it again as it deserves more than one hearing.